Alaska Glacier bottled water comes directly from the glaciers located in the pristine environment of Alaska. This water comes from the ice that melts off the bottom of the Eklutna Glacier deep beneath the waters of the Eklutna Lake. This lake was formed more than 10,000 years ago and continues to be fed through the melting process of the glacier. The terrain surrounding this region remains untouched by pollution, which helps the water retain its pure state when it is captured and bottled. 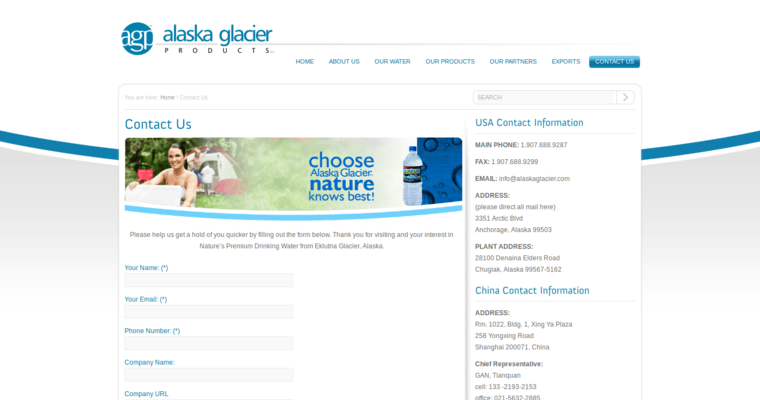 The water used for the Alaska Glacier brand also contains many essential minerals. The minerals are added as the water passes over various types of rock and sediment. The natural filtration process the rocks provide for the water also give it a positive alkaline balance with a pH level of 7.8. 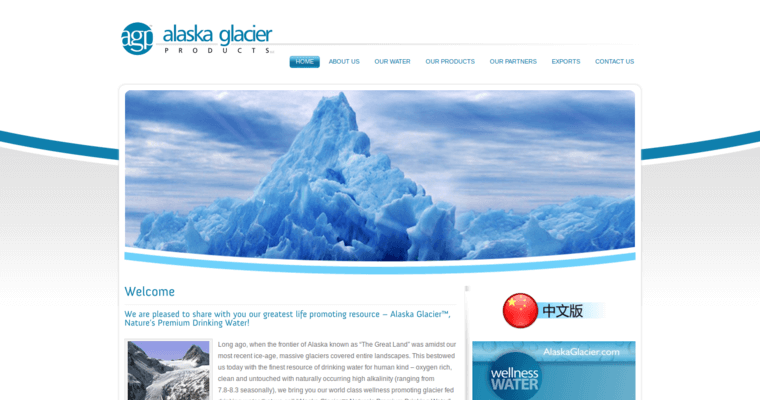 The Alaska Glacial brand is often referred to as a wellness water capable of hydrating the cells of the body better.